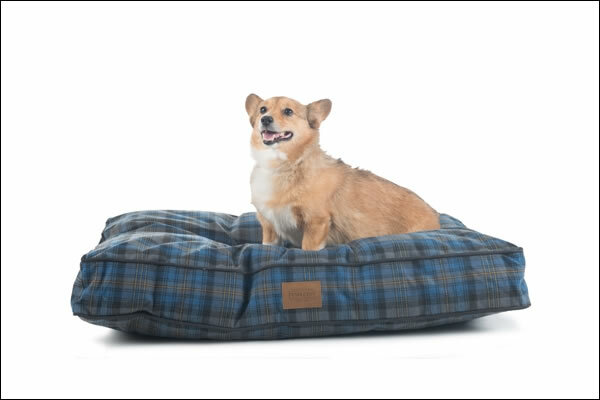 Inspired by the vintage tartans and plaids still woven in the Pendleton American mills, the Crescent Lake Plaid Pet Napper Bed provides your pet with comfort and security. 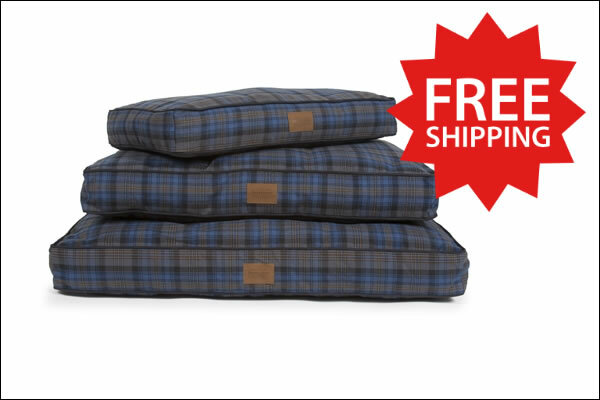 This classic blue and black plaid bed is part of Carolina Pet Company's Pendleton Pet® collection. Each bed comes with an easy care zippered removable cover that can be machine washed. The unique water resistant channel liner insert is filled with a 100% recycled high loft Memory Fiber made from recycled soda bottles that keeps your dog elevated off cold floors and provides relief on joints and pressure points. The cover is imported then the bed is filled and finished in the USA. Medium: 36" x 27" x 4"
Ideal for dogs 35 - 70 lbs. Large: 40" x 32" x 4"
Ideal for dogs 70 - 100 lbs. Extra Large: 48" x 36" x 4"
Ideal for dogs over 100 lbs.